The EdgeRouter Infinity combines 80 Gbps aggregate throughput with price/performance value in a compact rackmountable form factor. Eight SFP+ ports offer 10G fiber connectivity, and a Gigabit Ethernet RJ45 port offers copper connectivity. 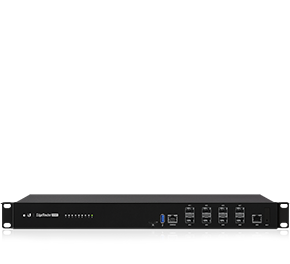 The EdgeRouter Infinity includes primary and backup AC/DC power supply modules for redundancy. It supports scalable configuration using EdgeOS or the Ubiquiti Network Management System (UNMS). The EdgeRouter Infinity features eight 10G SFP+ ports for fiber connectivity and a Gigabit Ethernet RJ45 port for copper connectivity. 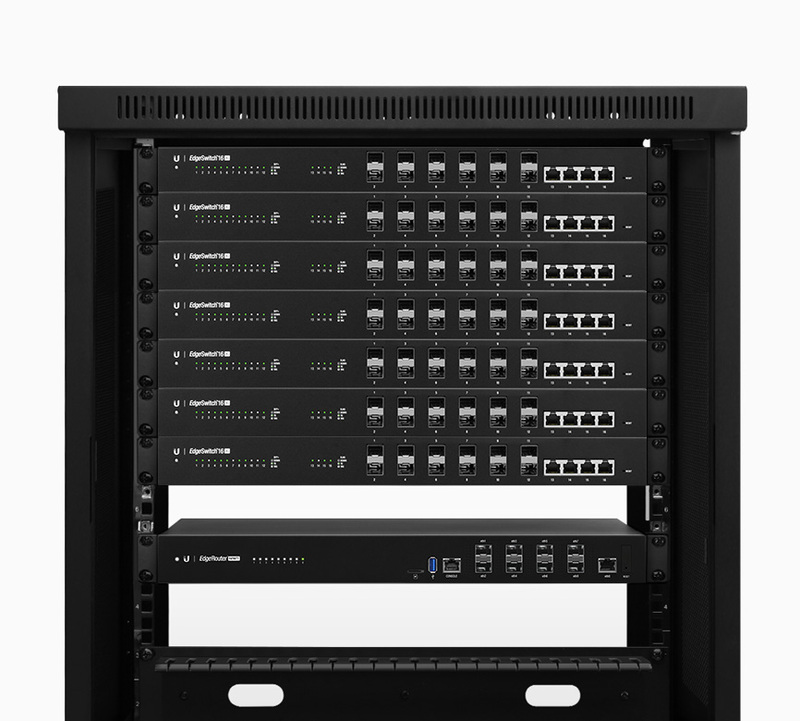 The 1U-high metal chassis allows for convenient mounting in a standard-sized, 19"‑wide rack. The EdgeRouter Infinity includes two AC/DC power modules – one for backup. An optional DC/DC power module is available for use with DC power. The EdgeRouter™ Infinity is supported and managed by UNMS™ (Ubiquiti® Network Management System), a comprehensive controller with an intuitive UI. A single control plane manages registered EdgeMAX® devices across multiple sites.